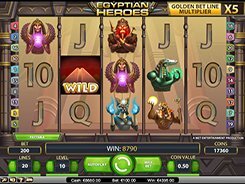 This is a 5-reel video slot developed by Net Entertainment and themed around Ancient Egypt. 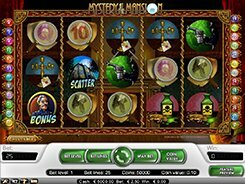 The slot has 20 bet lines, expanding wilds, scatters, free spins, and a unique Golden Bet Line multiplier. 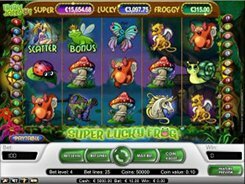 Customizing a coin value from $0.01 to $0.5 and the number of coins per line (1 to 10), you can place a bet starting at $0.01 and reaching $100 per spin. The symbols set incorporates standard playing cards from 10 to Ace as well as Egyptian gods appeared as combat spellcasters. 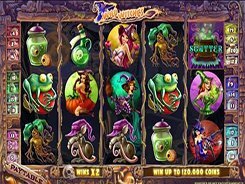 The first and second largest jackpots in the game are $20,000 and $10,000, respectively. 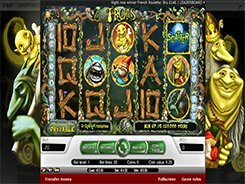 The Pharaoh Mask is a scatter, with 3+ activating 10, 15 or 20 free spins. The Pyramid acts as a wild symbol having a power to replace other symbols in order to complete a winning combo. 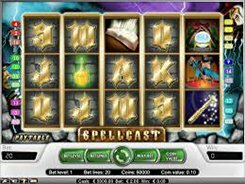 When appeared on reels 2, 3 and 4, a wild will expand to cover all three symbol positions on the reel which gives you more chances of winning big. 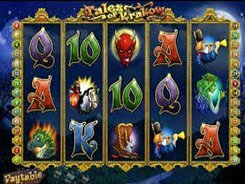 Besides, every spin the slot randomly chooses any payline and makes it golden. Any winning combo formed on that line is multiplied by a ‘golden’ multiplier that ranges from x2 to x5.